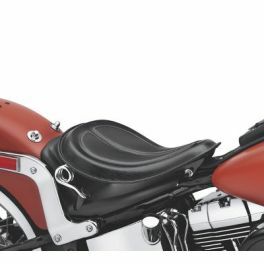 Add nostalgic "bobber" looks to your modern Harley-Davidson® motorcycle. 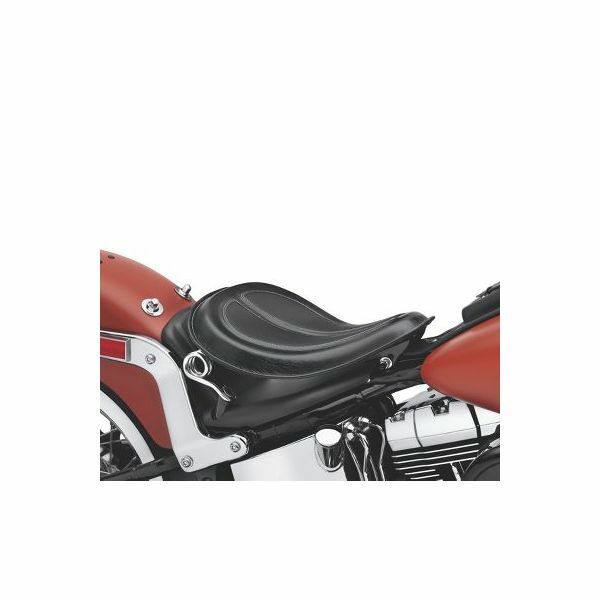 Available in elegant two-tone black or brown distressed leather, this solo seat features a low-profile design that provides the minimalistic "just enough to ride" look. 52000279 fits ’04-’06 and ’10-later XL, ’06-later Dyna®, ’08-later FLS, FLSS, FLSTC, FLSTN and FXS models. Installation requires separate purchase of model-specific Rigid or Spring Saddle Mounting Hardware Kit. Seat width 10.5".